Previously, Paramount’s Bumblebee, Sony’s Spider-Man: Into The Spider-Verse and Universal’s How To Train Your Dragon: The Hidden World had all received “Early Access” screenings. In those instances, a Saturday around two weeks away from the regular release date was picked for special screenings which the general public may pay for and see at their local multiplex. 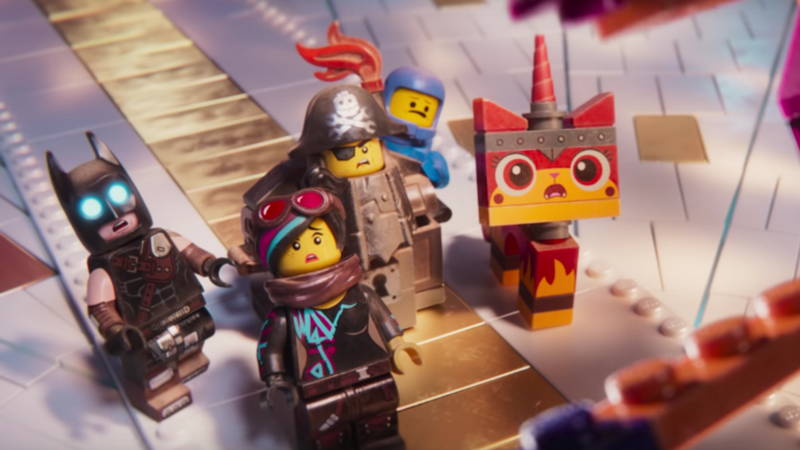 In the same tradition, The Lego Movie 2: The Second Part is currently set have Early Access screenings on January 26th – a Saturday twelve days before the film’s regular release date on February 7. Similar screenings have occurred for Hotel Transylvania 3, Jumanji: Welcome to the Jungle and most recently Aquaman, although those were exclusive for Amazon Prime customers. Similarly there, the screenings were on a Saturday (or a Friday in the case of Jumanji) around two weeks before release. Jumanji‘s early Amazon screening grossed close to $2 million and Aquaman‘s close to 3. The early access screening for How To Train Your Dragon was partnered with Fandango, whereas the ones for Bumblebee, Spider-Man: Into The Spider-Verse and now The Lego Movie 2 come without a partner. Fandango’s President Paul Yanover told Variety with regards to the How To Train Your Dragon screening that, although there wasn’t “hard data” behind such events just yet, family-friendly films yield themselves well to such screenings due to families being “big-time planners” as opposed to millennial. Although tickets are not available yet, both AMC and Fandango are listing the Early Access screenings for The Lego Movie 2: The Second Part and we expect them to begin promoting them in the coming days as January 26 is less than a week away. We’ve reached out to a Warner Bros. spokesperson for comment and will update this post if we hear back. As for the movie itself, I had the chance to see it at an advanced screening and can say that the audience enjoyed the film wholeheartedly. Without giving anything specific away, it’s filled with exciting new songs and unexpected cameos. The Lego Movie 2: The Second Part opens throughout the U.S. at 4PM on February 7. Meanwhile, we recommend checking out the new ultra-catchy song for the film that was written with the purpose of getting stuck inside your head.